The Triangle Link is an important part of the E39 in Hordaland and an essential element of the local Stord and Bømlo transport system. 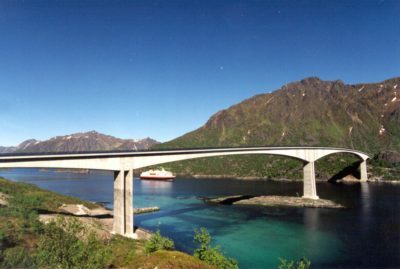 The two suspension bridges connect the communities, and together with the undersea tunnel have replaced the ferries between the mainland and Ryfylke. 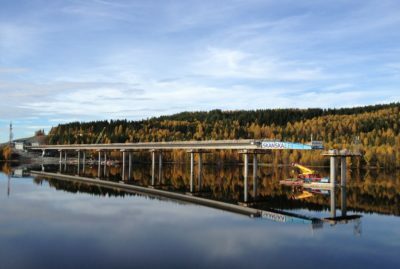 Aas-Jakobsen acted as the lead consultant for the Storda and Bømla bridges, with responsibility for all disciplines. This also involved the visual design, tender documents, detailed engineering, supervision during the construction period and participation in the construction site team. Storda Bridge is a suspension bridge with a main span of 677 metres with a foundation constructed directly on rock and a caisson submerged to rock. The towers are made from concrete, and the bridge deck from steel, with an aerodynamically shaped orthotropic design. 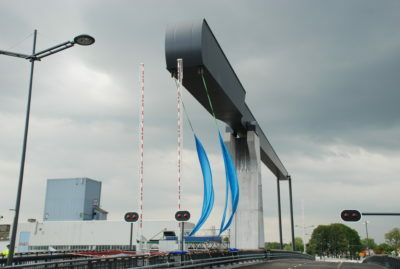 The anchors are set in rock, one on an island offset to one side of the bridge deck, with the other being split on either side of the bridge deck. 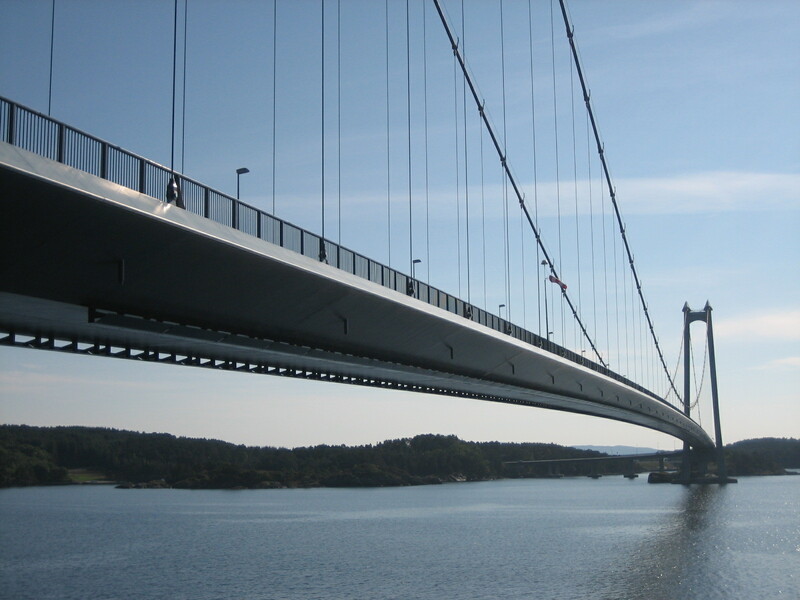 Bømla Bridge has a similar design to Storda Bridge, but with a span of 577 metres. Both of this bridge’s towers are constructed directly on rock, one on a tiny island. The project is one of the biggest bridge projects for which Aas-Jakobsen has been responsible. Our partnership with the Client was excellent, which ensured that the project was a great success for all the parties involved. Because of their excellent design and adaptation to the landscape, the bridges stand out as majestic and aesthetically-pleasing structures to the satisfaction of everyone in the project team. The project has also been extremely important for Aas-Jakobsen’s position in the bridge market, nationally and internationally. Storda Bridge: Building cost 340 MNOK, Bømla Bridge: Building cost 275 MNOK.